Summer (aka “reading season”) is over. Here is the batch of books I was able to get through on beaches and rainy afternoons. This was a beach read. I had a hunch that short stories would be good beach reads, and I put it to the test last year when I brought a Ray Bradbury anthology. My theory was proven correct, published in the journal Science, and is now known as “Bowman’s Law”. This is the collection I brought with me this year, and I highly recommend it. 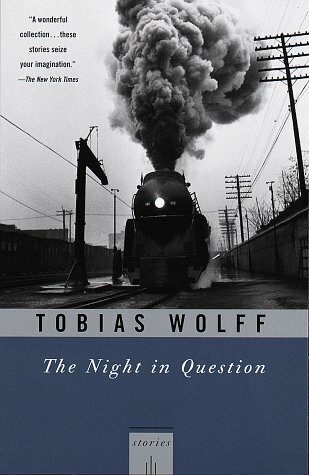 Tobias Wolff covers a lot of ground here, writing in many different voices and a few different styles. All of them are worth a read, but my two favorites were Flyboys and Bullet in the Brain. If you want a preview, the author can be heard reading Bullet in the Brain in the last Act of the “Last Words” episode of This American Life, which is where I heard about this book first. Many of the stories exhibit dark humor, so if that’s your thing, all the better. I just realized that I heard about almost every book on this list on public radio. Hmm. Anyway, I have been interested in parasites for a while. I cited parasitic flora as my inspiration for my final project in architecture school. I found this book to be completely amazing. Basically, parasites are everywhere and they are better than you at life. If you’re the kind of person who is always worried about germs and spiders and other creepy things, then this will terrify you. Fortunately I’m not one of those people, and I can read about all these fascinating creatures without giving myself nightmares. How individual parasites work is really interesting. For example, if you were a caterpillar, there would be a species of parasitic wasp made just to eat you from the inside out. However, what is even more fascinating is how parasites shape the lives of their hosts, both consciously and unconsciously. Some parasites completely change the behavior of their hosts, like the parasite that makes mice unafraid of cats, so that the parasite can infect the cat and complete its life cycle. Others, like that terrible wasp earlier, can even be useful for pest control. Some parts get pretty scientific and went over my head, but on the whole this book was surprisingly entertaining and easy to follow. This book was not surprisingly entertaining or easy to follow. I hoped it would be, but was a little disappointed. This is a documentation of all kinds of financial crises over the years, and how we never seem to learn from our mistakes. The authors call this the “this time is different” mentality, where we rush headlong into stock and asset bubbles as though we know better, only to find out we don’t. I was hoping for plain-language narratives of emblematic crises, but through the first few chapters all I’ve found are a lot of charts about financial metrics that I only barely understand. This was my attempt at trying out economics as a genuine interest instead of just a passing fancy, but I think I’ll stick with pop economics for a while longer. Psychology is another one of my passing fancies. I was always drawn to it as a way to figure out what influences people’s behavior, so that maybe I could incorporate it into my design process. Unfortunately, a lot of the intro-level psych courses focus on abnormal behavior which, while interesting, was way less subtle than I was looking for. This book, however, provides a pretty extensive look at all the ways that we delude ourselves through rationalization and shortcuts in our thinking. We seek out the information we already agree with all the while thinking we are being perfectly logical, and then when we find out we were wrong, we mentally rewrite our personal histories so we can believe we were always as awesome as we are now. It would be easy to get cynical with these kinds of facts, but the overall tone of the book is cheerful. I’d like to think that I read it and now know what to look for, but I probably just tricked myself into thinking I never do any of these tricks. This entry was posted in Features, Personal and tagged Books, Learning, Lists. Bookmark the permalink.